Pamela is the former Director of the Center for Design Innovation – University of North Carolina system experiment in intercollegiate centers of excellence in design, creativity, and technology. She led the center in its transformation from an idea into its realization of a dedicated facility on the Wake Forest Innovation Quarter research park. She served as a Program Officer at the National Science Foundation Computer & Information Science & Engineering, Intelligent Information Systems cluster from 2009 to 2011. She led the CreativeIT program and co-managed the Human Centered Computing, Cyberlearning Transforming Education and Computer Research Infrastructure programs. Pamela was Professor at Carnegie Mellon University (CMU) with a joint appointment in the School of Art and the Human Computer Interaction Institute from 2001 to 2008. Prior to CMU, Early in her career, Pamela was the Project Manager and Lead Designer for the IBM alphaWorks.com project and managed a team of web developers and designers between IBM and Studio Archetype (now Sapient) in this web portal that connected IBM research to 3rd party developers. She has been involved in many ground breaking projects in information technology and education technology over the past two and a half decades. As well, she has played a critical role in national and international policy implementations for foundation and federal funding initiatives bridging the arts and technology. 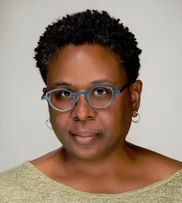 She currently sits as a committee member of a National Academies of Sciences study on the integration of disciplines across the arts, humanities, sciences and technology in higher education. She has collaborated on information and education technology research projects at the IBM Almaden User System Ergonomics Research Lab and the SRI International Center for Technology in Learning integrating early near-field communication technologies, speech recognition technologies, and software applications for STEM learning. Pamela’s creative digital media works have been exhibited worldwide. Pamela received her MBA from the Ross School of Business, University of Michigan; PhD in Human Centered Systems Design, University of Plymouth, UK; MFA in Computer Arts from the School of Visual Arts, New York; MA in Studio Arts from New York University; and BA in Psychology, Oberlin College.